I've decided to start #FoodCrushFriday on the blog and couldn't think of a better way to launch it than with Doughnuttery's recent partnership with Rekorderlig Cider. 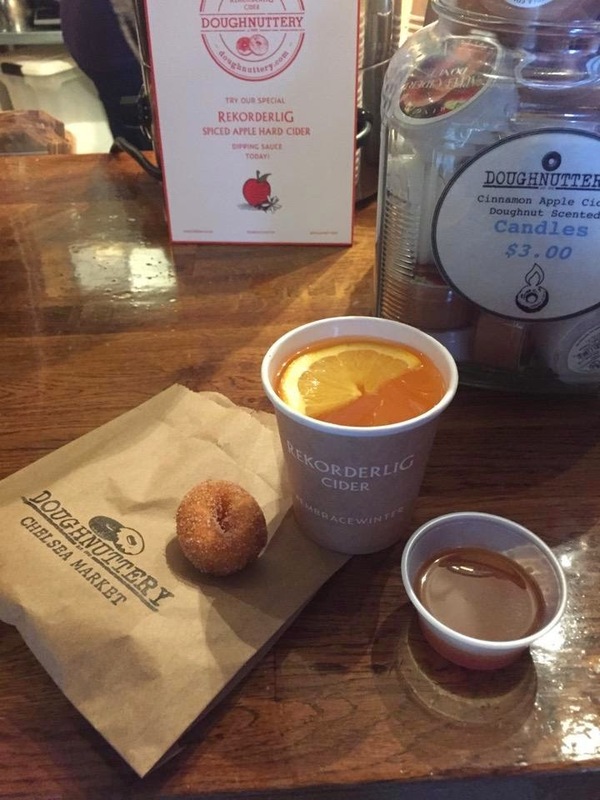 The donut outpost, with locations in Chelsea Market and Union Square Holiday Market, just added a Rekorderlig Spiced Apple Cider Dipping Sauce to pair with their donut offerings. It's the perfect holiday treat for those cold city days that are going to inevitably sneak up on us. You can try the limited edition dipping sauce at either location through Christmas Day. 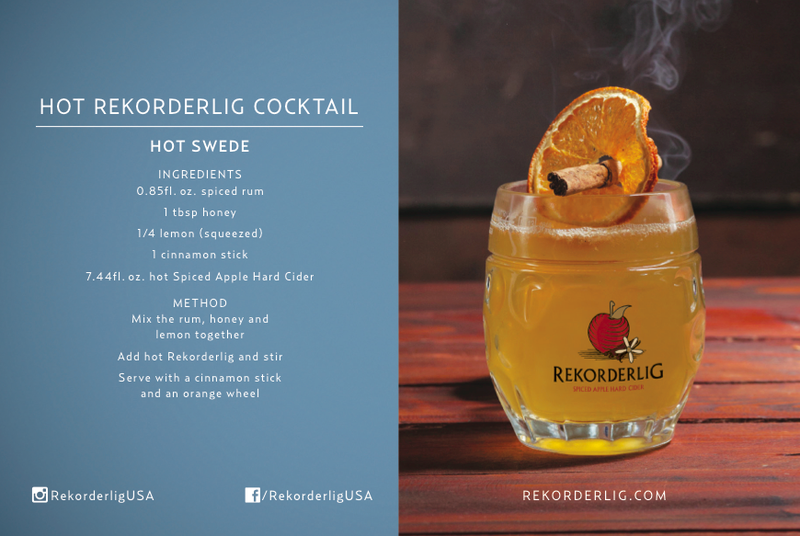 Rekorderlig also gave us a warm cocktail recipe to share called, The Hot Swede, which also incorporates the new Rekorderlig flavor. You can make this at home by grabbing the cider at a Morton Williams or Gristedes or if the weather is making you lazy, maybe have someone else make it for you. Whitehall, Randolph Beer, and Berry Park are just a few bars in the area that carry the new addition. If you end up trying the Doughnuttery and Rekorderlig dipping sauce concoction or the winter Rekorderlig bevi, let me know what you think of them on Twitter, Instagram, or the comments below!